Garry Hallinan, a native of Galway, Ireland, grew up immersed in his family’s hotel and restaurant business. After earning his National Diploma in hotel and catering management from the Galway Institute of Technology, Garry began his hospitality career at the prestigious Shelbourne Hotel in Dublin, Ireland. This was followed by tenure at The Grand Hotel Victoria-Jungfrau in Interlaken, Switzerland. After Switzerland, Garry moved on to hospitality positions in Paris and later in Boston. In 1994 he moved to San Francisco and assumed management positions in food and beverage operations before being promoted to sales manager at the Stanford Court Hotel on Nob Hill. 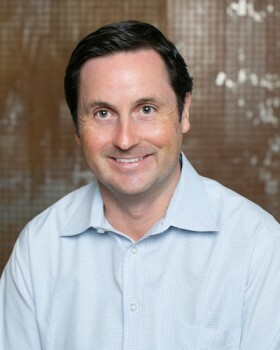 Garry later transferred to the position of Director for Business Development for a local destination management company in San Francisco. Garry attributes his success to established ties with various local hospitality partners, his hands-on approach, thoroughness with detail, and personal attention to each individual client. Garry takes pride in some of his biggest professional and personal accomplishments. This includes being a past president of PCMA Northern California, a recipient of the prestigious Chairman’s Club Award from Marriott International and serving as a senior member of The Guardsmen, a San Francisco non-profit organization whose members are devoted to advancing at-risk Bay Area youth by funding indoor and outdoor educational programs. Garry enjoys spending his leisure time with his wife and daughter as well as logging in some time on the golf course with friends.